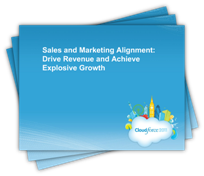 Last month at Cloudforce London, Henry Seddon of QlikView wowed the audience in his presentation entitled “Sales and Marketing Alignment: Drive Revenue and Achieve Explosive Growth”. In August, QlikView was awarded the “Most Successful Global RPM Execution” at the 2011 Revenue Performance Excellence Awards. This set the stage for a great presentation, and flocks of Cloudforce delegates poured in to hear how Qlikview had done it. Henry described the “before and after” of Marketo deployment. “Before” was a three-stage cycle, delivering leads generated from awareness campaigns to the web and then onto their BDR. The result: BDRs were overwhelmed with high volumes of unfiltered leads, wasting time, money and resources qualifying them. The “After” picture is similar but with one additional step – where lead validation and scoring happens and every click, download and email action attributes a relevant score to the lead. 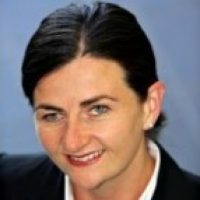 QlikView are using progressive profiling, as prospects complete registration pages, and only those with lead scores over 50 move past nurturing. The result: BDRs receive qualified sales-ready leads and now focus on selling. Now I know we have a World Cup on right now, but last year it was the soccer World Cup and this was the backdrop for QlikView’s first real test of the new process – the “Kick it and Qlik it” campaign – a global campaign in 14 countries, 10+ languages involving marketing teams around the globe. Obviously it was a roaring success, but lessons were also learned along the way and Henry was happy to share them. He went on to describe how their lead scoring and lead management processes have evolved since that initial campaign. A lot has happened in a short time! Check out the slides to learn more about results Henry and his team have been able to improve their sales and marketing alignment.